This sword had a very large flaw/kizu that was also flaking at the edges of the grooves. It was also running loose and deep. This was taking away from the beauty of the sword and made the grooves that were carved into the blade look poorly done. The sword is a very fine koto blade so I decided to invest a good amount of time and repair the flaw to make the sword much more appealing while adding value to it and more importantly doing justice for the swordsmith that created this fine blade. 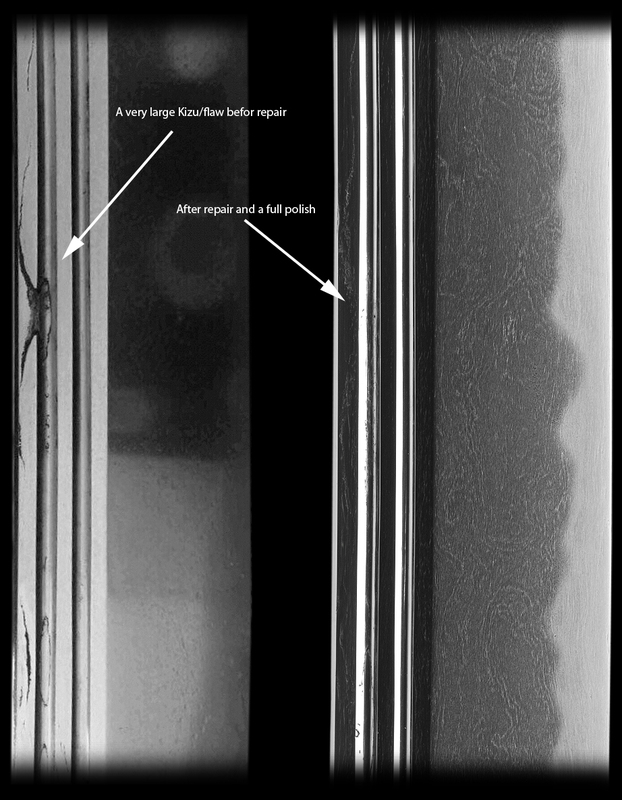 On many koto blades, these flaws can be found mainly because of the age of the blades and their usage. Some blades have been polished many times over and flaws like this one are possible to be found by any swordsmith. The cost of these repairs can be high depending on the extent of the work but on many swords, it is well worth it. In the United States we know of no other professional polisher that can do these repairs and in Japan, very few learn to do this type of repair also. I was fortunate enough to learn from certain smiths and polishers in Japan many years back the various repairs. 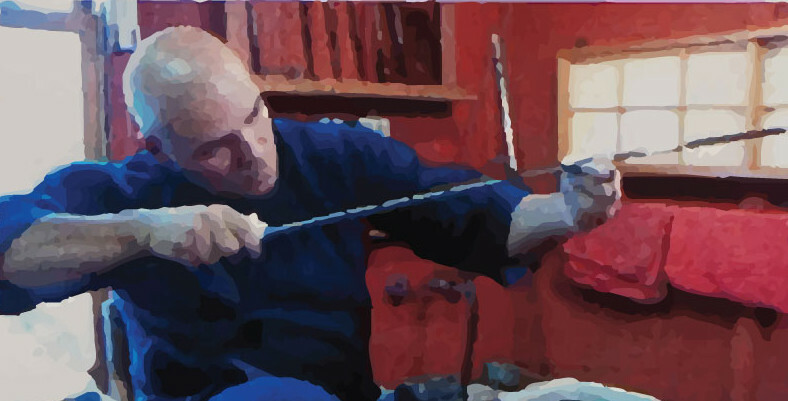 I have also been developing my own techniques furthering my personal repertoire restoring these swords out of respect to the art and the fine swordsmiths that have given us these treasures.